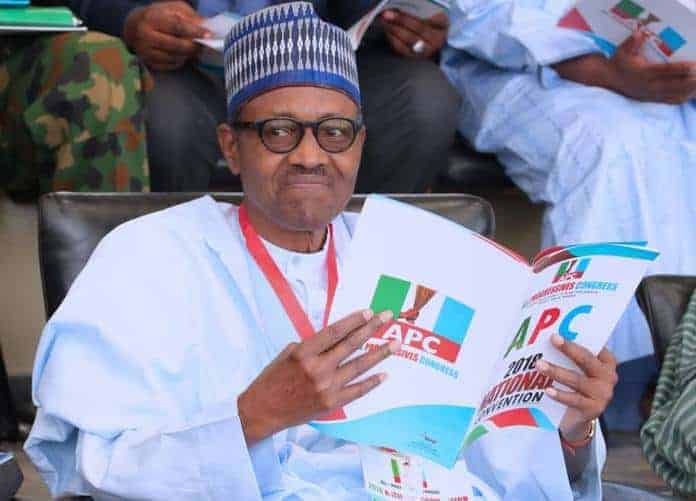 President Muhammadu Buhari has arrived Lagos for his reelection campaign set to hold today at the Teslim Balogun Stadium, Surulere. The president arrived alongside All Progressive Candidate (APC) governors and chieftains, Akinwunmi Ambode, Abiola Ajimobi, Rotimi Akeredolu and Abdullahi Ganduje, the Minister of Labour and Productivity, Dr Chris Ngige, Sen. Oluremi Tinubu and Lagos Gubernatorial Candidate, Mr Babajide Sanwo-Olu. The visit will see Buhari stop to pay homage to the Oba of Lagos Rilwan Akiolu, and the State House, Marina.